BMI was based on a simple premise. If patients could be taught the skills shown to be necessary to keep the weight off, their long-term success would be more likely. In fact, BMI's program was designed to reflect the success of registrants of the National Weight Control Registry, where the average registrant has lost 67lbs and kept it off for more than 5 years. Rather than having a "weight loss" phase and a "weight maintenance" phase, patients at BMI lose and maintain their losses with exactly the same strategies and the thinking there is simple. If a person loses weight undereating or overexercising, regardless of how much they might lose, ultimately they're liable to regain as they eventually return to the way they were living before they lost. At BMI we do not use severe diets, all-liquid diets, natural supplements, vitamin injections or require the purchase of any products. Instead we provide your patient with an applied education that will help them navigate the world we live in.Obesity is a chronic progressive disease, but it's probably also fairly described as a disease of the environment in that over the course of the past 40 years, while obesity rates have more than tripled, genes haven't changed, people haven't suddenly become more hedonistic and there isn't an epidemic lack of willpower. What's changed is the world we live in and to successfully navigate weight in this world takes skill and a great deal of resources.While I once tried to be a one-man-gang and help people with behavioural weight loss in the context of a traditional family practice, I quickly realized that I simply couldn't provide patients the skills and supports they needed in a 15 minute appointment once a month. It was then that I put together BMI. If at any point in time you have any questions about weight management or nutrition for your patients, whether they're in the program here or not, please don't hesitate to call or email me. I know only too well, this stuff isn't covered in medical school. Did you know that obesity has been said to be the number one preventable cause of death in North America, killing more people per year than smoking? The good news is that many, if not all, of obesity's risks can be reduced or even eliminated with sustained weight-loss. In fact, losing just 10% of your current body weight decreases your risk of dying from an obesity related complication by as much as 35%! Though there are many theories, there is no question that obesity is a disease that is hugely influenced by our environment, much of which is beyond our control, and even those things deemed within our control (what we eat, and what we do), are often influenced by factors we can't change. In terms of doing, we are certainly the most inactive society in history. Over the course of the past 100 years, we have worked tirelessly at finding new ways for us to do less work. We no longer have to mow lawns, open doors, climb stairs, wash clothes, wash dishes or get up to change a channel. Telephones are within constant reach, mailboxes are everywhere, and our jobs are far less physical. As a consequence, we burn far fewer daily calories. In terms of food, high calorie foods of course, are everywhere - from the gas station, to the corner store. Portion sizes have increased over 30% in the last twenty-years and that is not just at restaurants but at home as well. So in effect not only do we burn far fewer calories, but we consume far more. What do our bodies do with all of these excess calories? Well, they store them of course. Our genes, trained for tens of thousands of years to protect us in times of famine, are extremely effective at storing energy, and storage of energy in the body means the storage of fat in our cells. It has only been the past 100 years where famine has not been a North American concern, and 100 years is simply not enough time for our genes to realize that for the foreseeable future, there is no need to worry. Therefore, in the face of all of these extra calories, our very efficient bodies continually store energy. In fact, they store it so well that currently close to 50% of Canadians and 65% of Americans are overweight. Why then are some people able to eat so much more than others? The fact of the matter is that obesity is a highly complex disease not a state of mind or a failure of willpower. As a disease, obesity interacts with environment, genes, hormones, medications, behaviour and other medical conditions. Putting all of this complexity together means that some people simply have bodies that are more prone to gaining weight and less prone to losing it. It is due to this complexity that quick fixes and fad diets do not work. Obesity is a complicated illness that is best treated by someone who is highly trained and educated in its causes and complications. Ideally that person should be a medical doctor with formal training in the treatment of obesity - a Bariatrician. 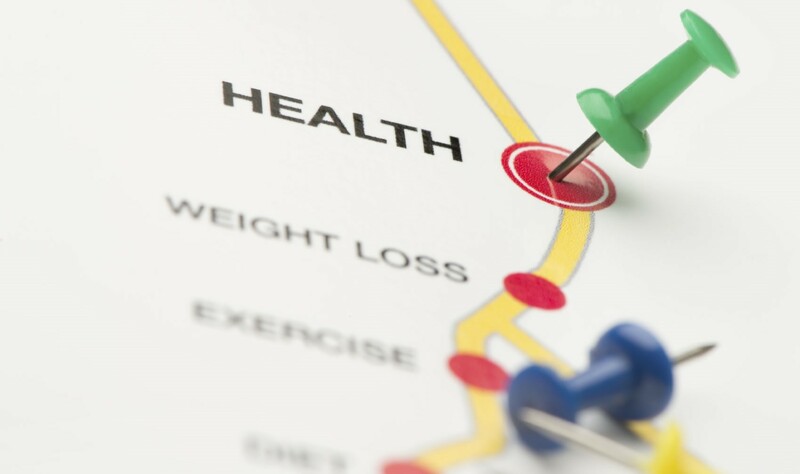 Bariatricians have the skills and education to properly assess and determine whether or not you have a separate illness contributing to your weight or whether or not you are on the wrong medications or combinations of medications for your various existing medical conditions. As well, Bariatricians can design a weight-loss program geared specifically to you as well as have the skills and tools necessary to make sure that your weight loss is safe and effective. To understand our program better, please take the time to read the other sections in the Science and Medicine portion of our website. We have all successfully lost weight at one time or another. Losing weight is a rather straight-forward equation. You take the total calories that your body burns in a day, and if you consume more calories than that, you gain weight, while if you consume fewer calories than your daily requirements you lose weight. In terms of calories, they are very sneaky. Eating 30 calories a day more than you burn will cause you to gain more than 30 pounds over the course of 10 years! Of course that means over 20 years you will have gained over 60 pounds, and so on and so forth. How many of you know how many calories you burn in a daytime? If you do not know, how will you know if you are eating too many calories? The obvious answer is, "I will be gaining weight". This is true of course, but ideally knowing how many calories your body burns will help you plan your daily meals and physical activity. As well, you need to know how many calories are in the foods that you eat. At the Bariatric Medical Institute you will learn the answers to both of these questions. Your weight loss with the Bariatric Medical Institute will be monitored carefully. Our physicians will be following your blood work to ensure that there are no dangerous shifts in your electrolytes; our dietitians will ensure that you receive sufficient calories to keep you from feeling hunger; and our fitness consultants will be teaching you how to increase the number of calories your body burns daily and minimize the slowing of your metabolism during your weight loss. We will use sophisticated medical instruments to measure and monitor your metabolic rate to determine how many calories your body is actually burning. We will also use body impedance analyses to monitor your lean body mass percentage to ensure that your weight-loss is not overly rapid. At BMI we do not believe in setting unrealistic goals and in fact discourage our clients from setting any initial weight-loss goal higher than losing 10% of their body weight. We expect that by following our program you will lose between 1-3 pounds per week; any more than that puts you at risk of dangerously depleting your lean body mass, slowing your resting metabolic rate and sets you up for failure in maintaining your weight-loss, but more importantly losing faster would necessitate you adopting too strict a diet to sustain. At BMI we know that while weight loss may be a simple equation, implementing it and sustaining it can be exceedingly hard. What we excel in is taking that equation and turning it into something that is not only easy to achieve, but more importantly, something that is easy to sustain. Through tremendous marketing and public awareness campaigns, doctors, our governments and the food industry have recommended that we should reduce the amount of fat in our diets. These campaigns were hugely successful as over the course of the past 30 years, there has been a significant reduction in the average amount of dietary fat that North Americans consume. Unfortunately, during that same time, obesity rates have more than doubled. Clearly, the "You Are What Eat", notion with regards to dietary fat may well have been a gross over simplification. Though fats, and more specifically trans fats, clearly have health risks some fats are essential and may even reduce blood cholesterol levels and the risk of heart disease. Regardless of whether or not fat is bad, it is certain that by itself reducing dietary fat does not do much to reduce our waistlines. Unfortunately, the past 30 years of low-fat messaging may well have turned consumers to replace them with highly processed carbohydrates, and their lesser impact on fullness may well be playing a part in growing rates of obesity. Another driver of weight gain is the notion that we must wait until we're hungry to eat. Intuitively, that makes sense to many, but let me ask you, have you ever gone to the supermarket hungry? What happened? Chances are you bought different foods and in larger portions than had you gone not hungry. Sit down to eat hungry, and again you're shopping, just on a smaller scale, whereby now you're shopping from your plate, your fridge, your cupboards, your freezer or from a menu. The physiology of hunger is powerful, and once you've got a physiological drive to eat, you're either going to give in, or you'll fight it, but feel bitter about the "diet" you're on. If there were one "right" way to eat to lose weight, the world would be slim, and while there are certainly many different ways to lose, hunger must be well managed, where hunger's not just the growling in your stomach, but also at times, the growling in your brains - cravings, compulsions, stress eating, emotional eating, etc. At the Bariatric Medical Institute we approach each person as an individual and we know that there is no single diet that suits everyone. It is for precisely this reason that each of our clients will receive individual counselling with a registered dietitian. Our dietitians will analyze your current eating habits and identify your problem areas. You will be taught not only about simple and complex carbohydrates, but also about fat and protein and how some fat is not only not dangerous, but essential, and how protein can help make you feel fuller longer. You will be taught about the calorie content of different foods and will be amazed to find out that decreasing your daily caloric intake is not only easy, but that it does not have to lead to hunger. You will learn how to read food labels like a professional, about glycemic index and glycemic load, and you will learn how to pick the right meals at your local restaurants. By the end of our program, you will understand more than the average physician about your nutritional requirements, the physical makeup of food, and how different foods affect hunger differently. You will have learned how to eat healthy, a skill which when combined with regular physical activity and not smoking, is thought to be able to prevent more than 80% of heart disease, 70% of strokes, 70% of colon cancer and 90% of diabetes. Exercise alone does not burn enough calories to cause a significant weight loss as it is far easier to obtain calories by eating than it is to lose them by lets say walking. For example, in order to work off the calories contained in one Big Mac and large fries you would need to go for a brisk seven hour walk. That does not mean that exercise is not important in weight loss. In fact, exercise is an essential component of any weight loss plan as diet alone is a certain recipe for failure. People who diet without exercise are often those same people who compare their efforts to yo-yos. The phenomenon of yo-yo dieting is one which almost everyone who has ever dieted has experienced first hand. Through only the best of intentions you cut down your calories and lose a bunch of weight. Eventually something happens to those good intentions and the diet stops. Why then does your weight come back so quickly and why do you sometimes end up heavier than when you started? The answer is often surprisingly simple. You forgot about exercise. Our bodies are lazy. When faced with less calories and weight loss, our bodies in many cases prefer to burn their lean body mass or muscles as their daily fuel rather than use up their energy rich fat stores. As a consequence, if you are successfully dieting and losing weight, if you fail to exercise, you will lose far more muscle than if you were exercising, which in turn will lead to a slowing of your metabolism. Dieting and losing weight in the absence of exercising may slow your metabolism to the point that if you resume your old dietary habits, not eating any more than before, you may gain back more than you lost as your old calories return only to be superimposed on a body that's burning fewer calories in total. In the absence of proper exercise, this yo-yo effect would have occurred regardless of the type of diet you were on. Whether you were on the cabbage soup diet, a high-fat, low carb diet, a medically supervised low-calorie diet or a hospital sanctioned all liquid diet, if you were not instructed to exercise both aerobically and with resistance, not only did you likely regain some or all of your weight, but you were cheated out of a healthy weight-loss. And instruction likely is not enough. Telling you, "You need to exercise" does not address the types of exercise best suited to overweight people, nor does it teach you how to exercise safely. It also does not help you make the transition from realizing that exercise is a good idea, to actually doing it. At the Bariatric Medical Institute, not only will we provide you with one-on-one appointments with our certified fitness consultants, we will use our onsite facilities to teach you how to safely exercise using equipment that can be found at virtually any local gym or community center. If gyms are not to your liking, we will also teach you how to set up your own home exercise centre using materials that will cost you less than the cost of most gym initiation fees. And to ensure that you get a head start, during the first three phases of our program we have designed and included on-site fitness classes that gradually increase your aerobic fitness, while providing you with the resistance training you need to minimize the loss of lean body mass and keep your metabolism fired up. We will also show you how to increase your fitness without even trying by teaching you different strategies for obtaining necessary exercise during your day to day activities. Why is it that even after spending weeks or even months losing weight, it is so easy to fall back into old behaviours? Emotional eating, boredom eating, because-it's-there eating, unhealthy eating, fast-food eating, reward eating - all of these are behaviours that many of us have spent years cultivating. Studies have shown that it takes between 6 and 18 months before new behaviours become habits. What happens to so many of us is that life throws us a curveball and we respond according to our old habits. These old habits were formed from decades of unhealthy behaviours and not according to our few weeks or months worth of healthy living. Old habits, like old shoes, are comfortable and suddenly while we might no longer be eating healthy, life suddenly feels comfortable again. In order to successfully lose weight and maintain weight loss, you will need to develop strategies to overcome your behavioural urges by life-layering new behaviours over your old habits. For example, if you are an emotional eater, you need to have a set of alternate behaviours that you can access if the urge to emotionally eat tugs at your stomach. If you can life-layer successfully for 6 to 18 months, your behaviours will no longer be your alternates but rather your new habits. For emotional eaters, alternate behaviours may be as simple as going for a walk, writing a journal entry, calling a close friend or weight-loss support buddy, cleaning a part of your home, developing or cultivating a new hobby, taking a shower, or running through a to-do list instead of having that emotional snack. For because-it's-there eaters' alternates may involve simple planning such as making a healthy snack to take to the movies rather than munch on the theatre's popcorn, or watching television while doing some low-impact home exercises. Because we are all individuals, there is no one simple instruction or set of life-layers that we can give you, and what works for you may well not work for someone else. Another key to successfully losing weight and keeping it off is learning how to accept setbacks. Obesity is a disease, not a state of mind or a failure of willpower, and diseases have relapses and remissions. Where state of mind becomes important is in deciding how you deal with setbacks. It is always easier to give up when faced with a setback, than to dust yourself off and start fresh. You need to have another series of behaviours to life-layer to deal with your setbacks and to reclassify what you might have once thought of as failure as simply a normal and expected complication of your disease. At the Bariatric Medical Institute, not only will you work alongside our physicians, dietitians and trainers to develop new life-layers, they will always be there as your own personal support group. We recognize obesity as a disease and therefore we will never scold you or be upset with you. On the contrary, it is through setbacks that we gain a better understanding of your behavioural makeup and will allow us to more effectively individualize your life-layers. During the 12 weeks, you may explore such topics as motivation, body image, goal setting, communication, eating, activity, stress, peer pressure, binge eating, self-esteem, attitude traps, rewards and many more - which topics you'll face will depend on you. Everyone is different, and everyone has different behavioural traps that need to be addressed.. You will explore both the why behind your behaviours and the how to make changes. As well, you will enjoy a group session with BMI's clinical psychologist that looks at the 9 most common roadblocks to weight loss. In short, the Bariatric Medical Institute will guide you on your own personal journey towards understanding yourselves and conquering the behaviours that have haunted your weight-loss efforts in the past. You have all lost weight before only to put it back on as old habits pushed aside your healthy behaviours. Life-layer your alternates and put yourself back in control!